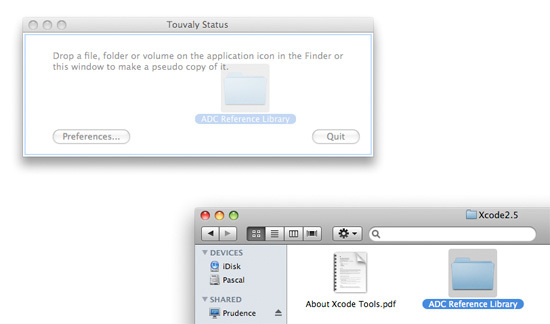 Touvaly is a drop utility for making pseudo copies of files, folders, CD's and volumes. You can use Touvaly to create virtual catalogues of collections of files which use very little space. 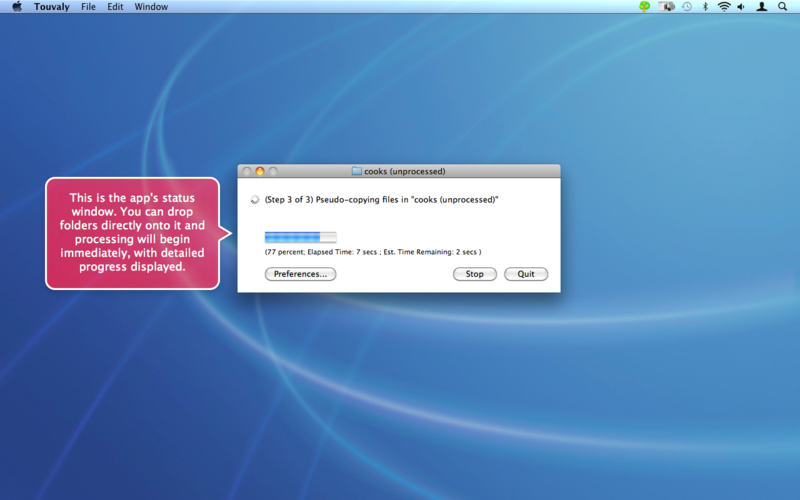 You can create these collections on other drives so that they are accessible from other machines. Touvaly then prompts you to navigate to the destination of the pseudo copy (unless you set a destination in Preferences. )After you choose the destination Touvaly immediately begins to traverse the folder creating pseudo copies of all the files it finds. Check for updates. Check for software updates on program launch. Copy to. Turn on a default destination for the copy. Throttle. Controls the rate of processing at the expense of UI responsiveness.